At 11:00PM I got a slowly creeping then suddenly spiking craving for something sweet, which bolstered my motivation to bake for Ty’s last day of work before his final year of Architecture begins. However, the challenge was to bake something yummy yet not so labor intensive, and with whatever ingredients I could find in the house, which was not much. So, I perused through my recipes and remembered one from a work colleague called Ian’s Thug Crunchies (strange, I know), which I had most of the necessary ingredients to make. 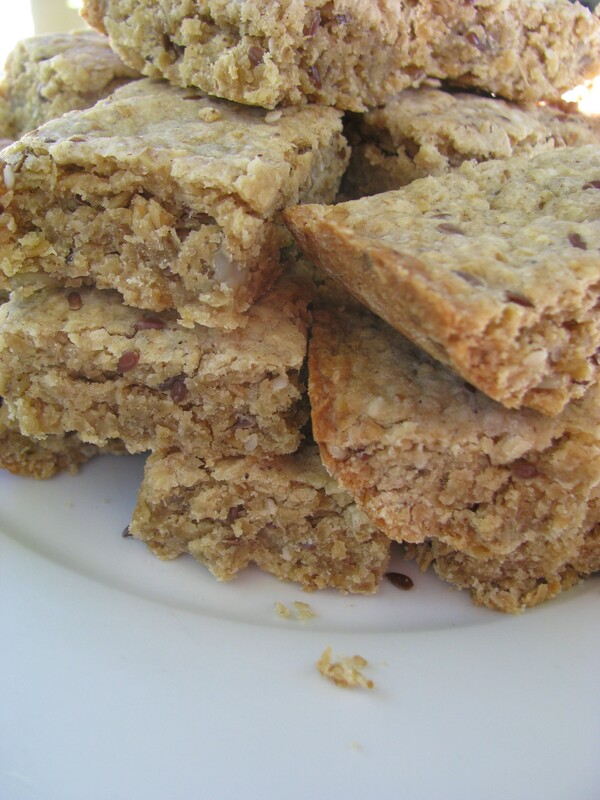 The first time I made these I followed the unhealthy recipe plus added even more unhealthy ingredients and they came out super sweet, crumbly, delicious, and unashamedly unhealthy. 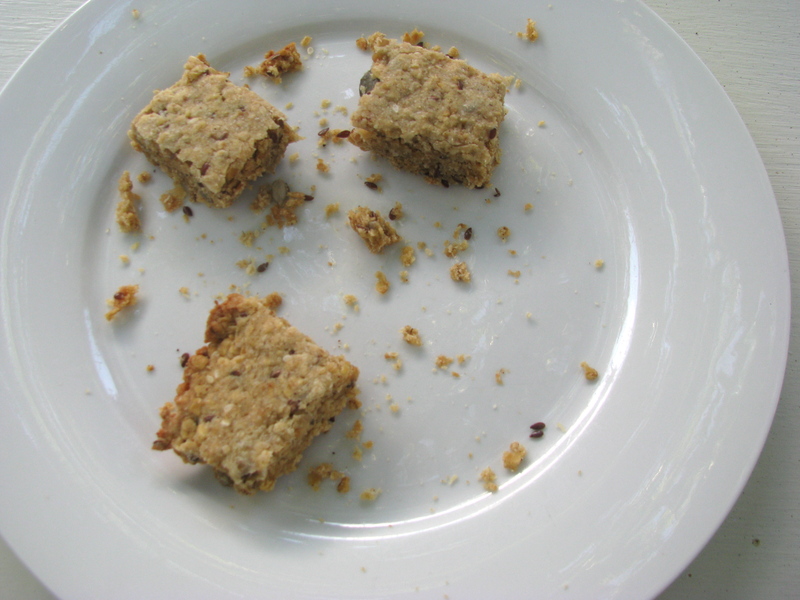 However, this time around I decided to go the slightly healthier route and experimented with the recipe, which produced a more soft, subtle, seedy bar that satisfied Ty and his colleagues’ sweet tooths without overdoing it. 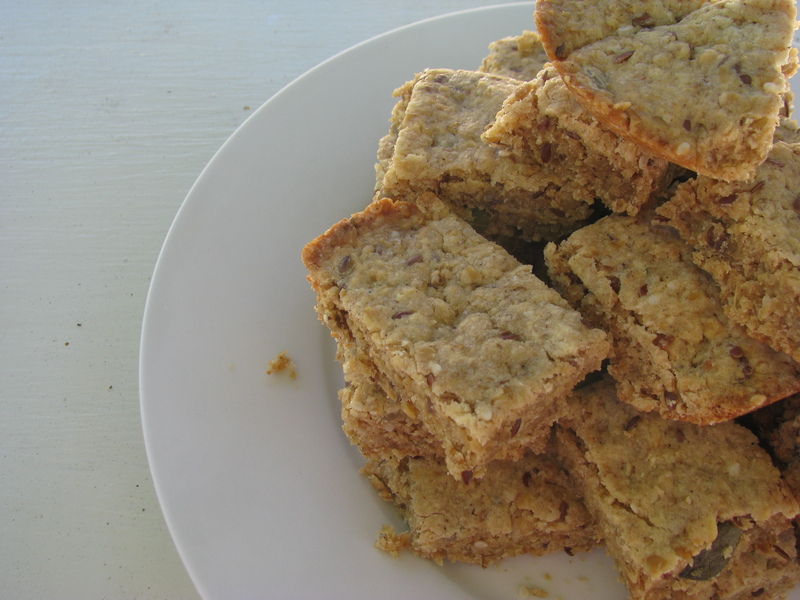 The fun thing about this recipe is that it is quick, simple, and forgiving. I completely encourage experimentation; you can make flour substitutions, sugar substitutions, saturated fat substitutions, and add all sorts of nuts, seeds, dried fruit, and chocolate. Preheat the oven to 180C (356F). In a pot, melt the margarine on low heat and add the syrup and vanilla. Add the baking powder, which will foam up, so remove from the heat and mix. In a large bowl, mix together the oats, salt, sugar, cinnamon, seeds, and dried fruit. Pour the liquid mixture into the dry ingredients and mix until fully coated. Mix in the flour (and chocolate). Press the mixture firmly into a deepdish ungreased pan and bake for 25 minutes. Cut into rectangles while still warm and eat when cooled oooor, if you are impatient and too excited like me, you can eat a bar right away and risk burning your tongue, which may be a worthwhile trade-off to please your tastebuds.